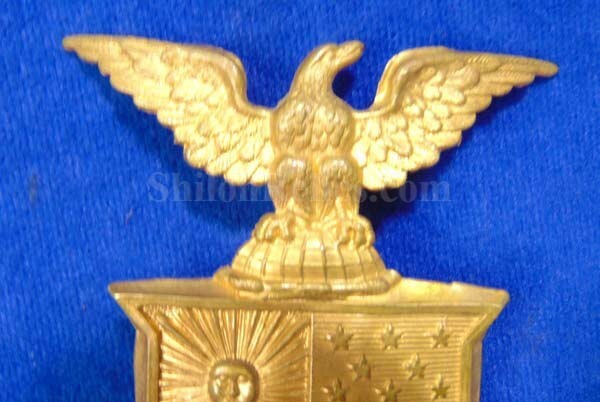 This Category is Full of Authentic Hat Insignia. Here is a great displaying piece! 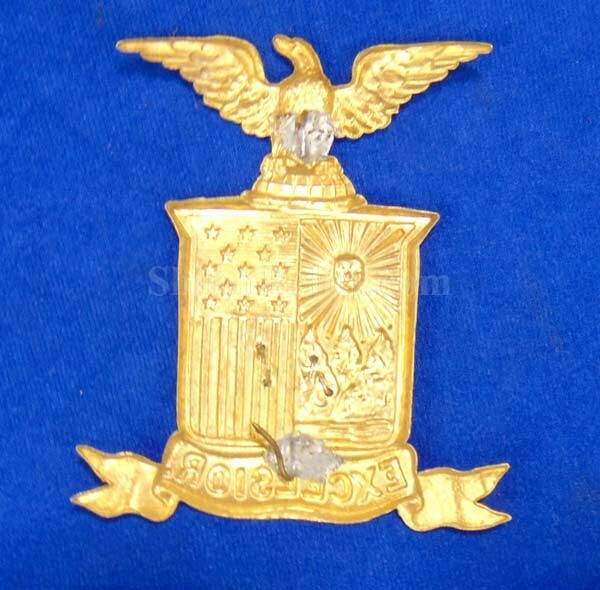 This is the insignia that would have adorned the front of a shako or pith style helmet from the late Indian war time frame until the Spanish American war. It is large in size measuring 3-3/4ths inches by 3-1/4th inches in overall size. 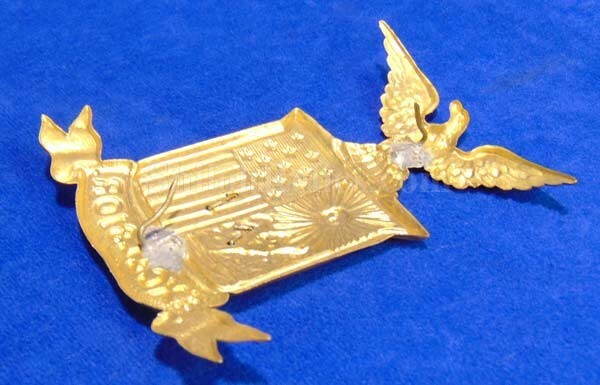 It is made of gold gilded stamped brass. It still has the original attachment pins onto the reverse. 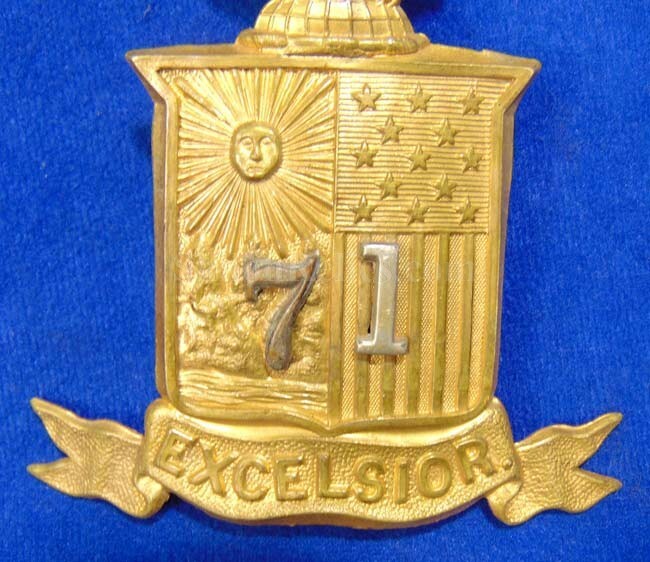 The Union eagle is above the shield with the New York state seal and the 'EXCELSIOR" wording. 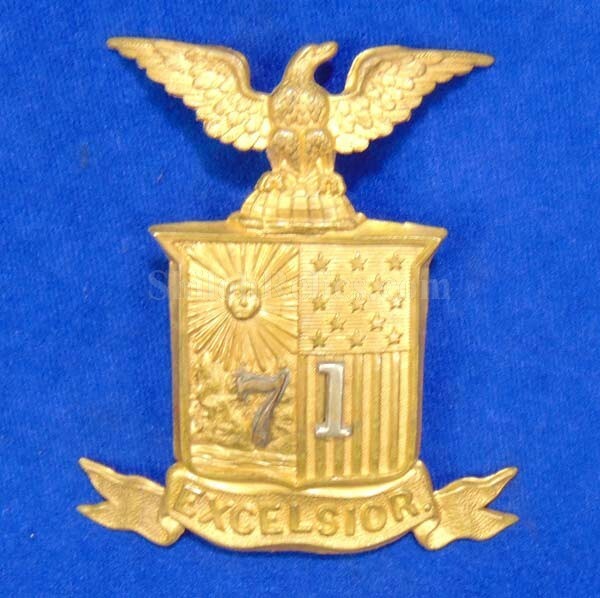 It has the original applied silver regimental numbers that represent the 71st New York regiment. This is an excellent piece!